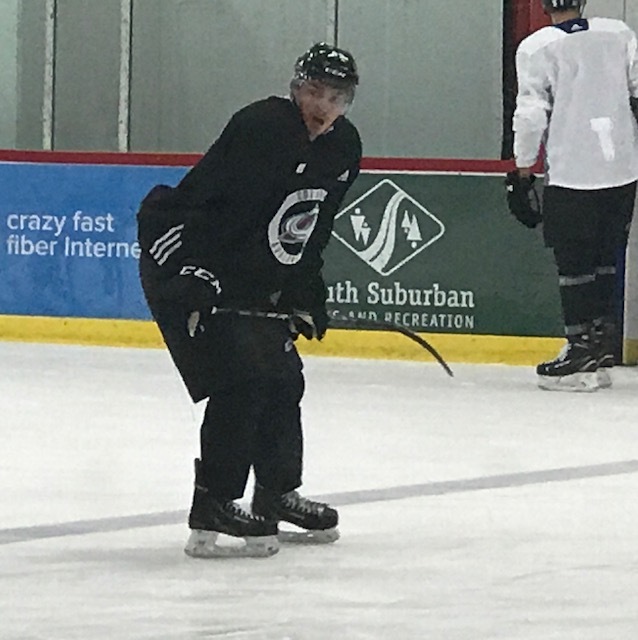 Joe Sakic was watching the Avalanche’s practice from above the bleachers Wednesday afternoon when I joked with him about now having children on his team. “They’re as young as my kids,” Sakic said with a smile. Yes, when Sakic emphasized down the stretch of the Avalanche’s horrific 2016-17 season that the younger and faster makeover was just getting started, he wasn’t kidding. The question now is whether the NHL’s second-youngest team will be able to remain competitive the rest of the season — the Avalanche is 8-7-1 after getting only one point in two games in Stockholm against the Senators — or the reboot still inevitably will include periods of prolonged struggle. And pleas for patience. Samuel Girard at Avalanche practice Wednesday. In the wake of the mega-buster deal that dispatched Matt Duchene to Ottawa last week, the Avalanche’s practice and the Family Sports Center dressing room had a new — and even younger — look Wednesday. With the Avalanche dividing time on the two rinks, the two young players acquired from Nashville in the three-team deal — defenseman Samuel Girard, 19, who played in both games at Stockholm against Ottawa; and left wing Vladislav Kamenev, 21, who was called up from San Antonio on Tuesday — were becoming accustomed to new surroundings. Girard was assigned Duchene’s old stall in the dressing room, and Kamenev was being introduced to teammates after his callup, though the communication was limited — mostly with his fellow Russians — because he doesn’t speak English. Winger Nail Yakupov acted as an interpreter in Kamenev’s brief session with reporters. Nashville’s No. 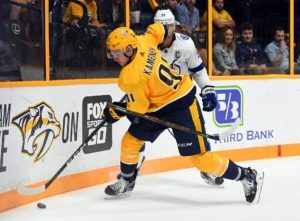 2 draft choice in 2014, Kamenev spent most of the past two seasons with Milwaukee of the AHL, collecting 36 goals and 88 points in 127 games. 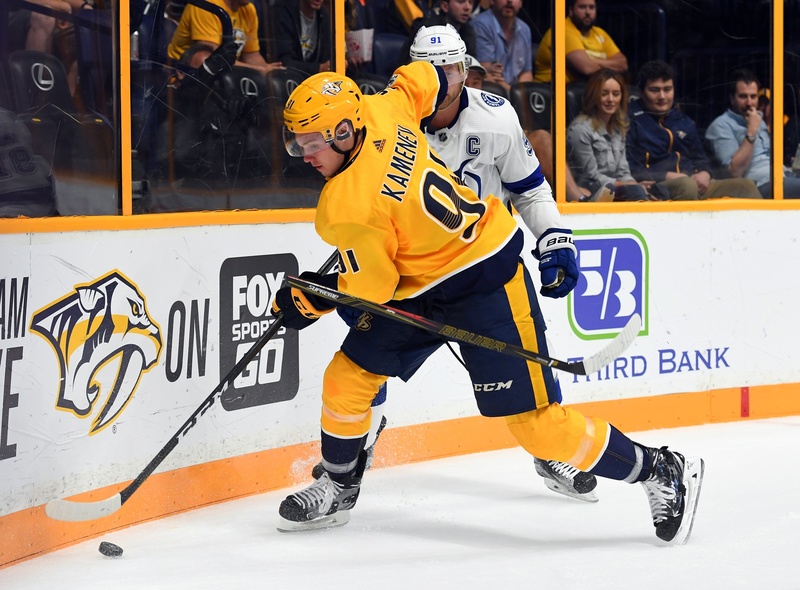 He was with the Admirals at the time of the trade and then played four games for San Antonio before his callup, and his 14-game totals in the AHL this season are three goals and 12 points. When Kamenev suits up against Washington Thursday, it will be his third NHL game. So now two of the seven “chips” the Avalanche collected in the Duchene trade will be on display at the Pepsi Center Thursday. Colorado also got three draft choices — a first and a third from Ottawa and a second from Nashville — and journeyman goalie Andrew Hammond, plus the rights to Boston University center Shane Bowers from the Senators. The first issue with Girard is whether he will be with the Avalanche after Saturday’s game at — ah, the twists continue — at Nashville. He will have played nine NHL games this season, and the 10th will cause his three-year entry level contract to kick in. The option is to return him to Shawinigan of the Quebec Major Junior Hockey League for another year of seasoning and avoid burning a year on his deal. In 132 games over three seasons with the Cataractes, Girard had 192 points. 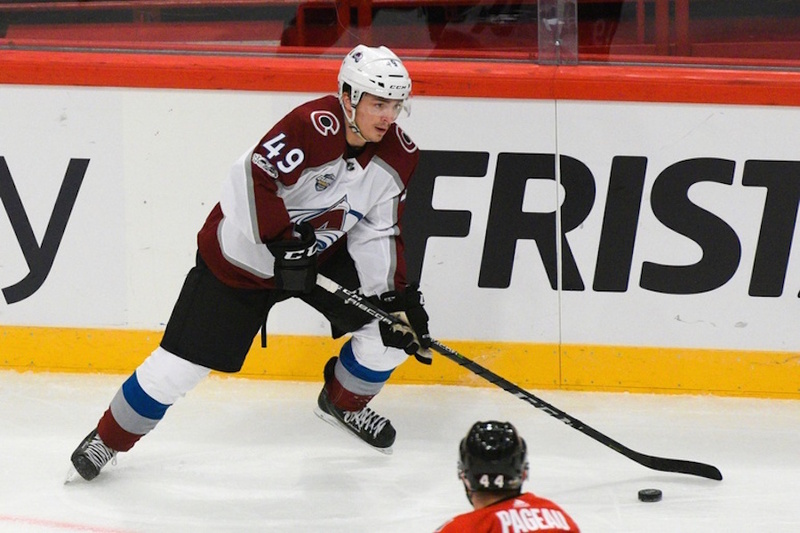 At this point, it would be surprising if the Avalanche doesn’t keep him on the NHL roster. For a 5-10, 162-pound defenseman, the lessons could be painful, but the Avalanche for a lot of reasons is committed to displaying what it hopes are the franchise’s future cornerstones. Tyson Jost, who signed last spring after his freshman season, arguably could have benefited from a second season at North Dakota. He’s injured now, but he hasn’t been over his head, either, when in the lineup. It’s all part of getting the rebuilding in motion — and on display. In describing Girard’s play and strengths, Avalanche coach Jared Bednar again left the impression that the young defenseman has played his final game in major junior. That said, I asked if there was any chance Girard could be sent back to Shawinigan for a fourth season. For his part, Girard welcomed the trade. He got the word when he was in Los Angeles with the Predators, and he immediately traveled to Stockholm. He traveled from Los Angeles to London first before going on to Stockholm. Girard even played in a pairing with the similarly sized Tyson Barrie at Stockholm.